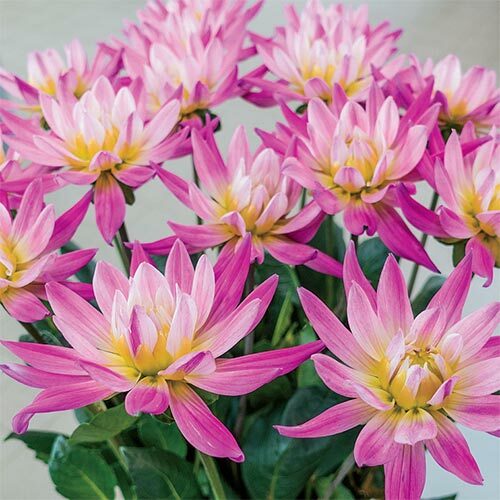 Medium pink outer petals with lighter pink center petals. Cactus Dahlias are large, colorful, starburst-type flowers. We offer the best varieties in a wide range of colors. Excellent for garden or border planting. 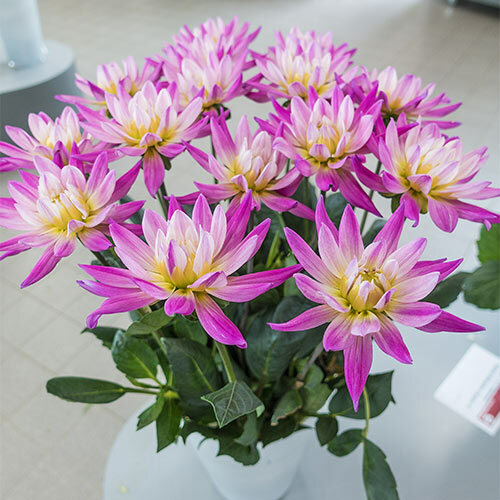 Long-lasting, ideal cut flowers. 5.5" petals, narrow and pointed. Classified as Cactus Dahlia.